[ map ] $3 suggested donation to Poetry Santa Cruz. 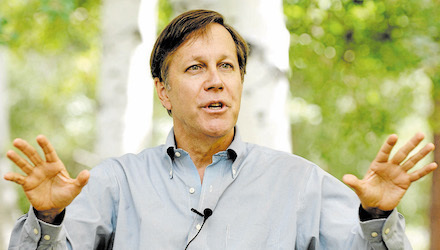 Dana Gioia was born in Los Angeles in 1950 and is the current Poet Laureate of California. He received his BA and MBA degrees from Stanford University. He also has an MA in Comparative Literature from Harvard University. For fifteen years he worked as a business executive in New York before quitting in 1992 to write full-time. His most recent collection is 99 Poems: New & Selected. He has published four additional collections of poetryDaily Horoscope (1986), The Gods of Winter (1991), Interrogations at Noon (2001), which won the American Book Award, and Pity the Beautiful (2012). Gioia's first critical collection, Can Poetry Matter? (1992), was a finalist for the National Book Critics Circle Award. From 2003 to 2009 he served as Chairman of the National Endowment for the Arts. A prolific essayist, reviewer, and translator, Gioia has also published fifteen anthologies of poetry and fiction. 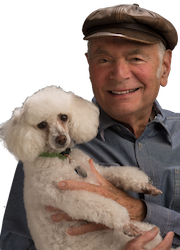 He divides his time between Los Angeles and Sonoma County, California. He currently lectures at the University of Southern California as the Judge Widney Professor of Poetry and Public Culture. Read a review of 99 Poems: New & Selected in The Washington Free Beacon. Read five poems by Dana Gioia read this year on The Writers Almanac. Learn more on Robert Swards website. Watch a video of local actress Ali Eppy reading part of Love Has Made Grief Absurd (22:28 minutes). Video of Ali Eppy by Santa Cruz artist Susana Arias. Poetry Santa Cruz is funded, in part, by a grant from Arts Council Santa Cruz County. Some events are supported by Poets & Writers, Inc. through a grant it has received from the James Irvine Foundation. Poetry Santa Cruz is also grateful for the support of its members and donors, In Celebration of the Muse, and those who donated in memory of Maude Meehan and Kathleen Flowers. The William James Association acted as our fiscal sponsor for our first four years. Our readings are supported by Bookshop Santa Cruz, Capitola Book Café, Cabrillo College, Darling House, and KUSP. Membership premiums have been donated by Graywolf Press, the University of Pittsburgh Press, Robert Sward, Coffee House Press, Copper Canyon Press, and Farrar, Straus and Giroux.